As you may know from my many Frozen posts, like my Olaf Pumpkin, and Elsa's Ice Candy that I have a soft spot for all things Frozen. When thinkng of Frozen party ideas. I had wondered what to do for the Rock Trolls. 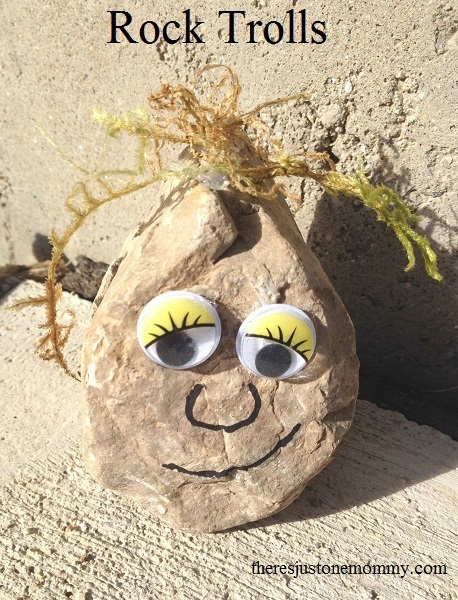 There's Just One Mommy had the great idea to have her party guests make them using actual rocks. They loved it, and got to bring home their own Rock Troll as a keepsake from the party. Stop on over to There's Just One Mommy to see more about their craft project. Thanks so much One Mommy for liking up this great craft to Dare to Share!